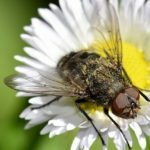 Home / Modern Pest Blog / Why are there dead flies in my house? Why are there dead flies in my house? It’s the dead of winter. Most days it is brutally cold outside, with the furnace or woodstove constantly burning to keep the thermostat somewhere in the warm range. Today, however, you are blessed with a day many New Englanders call a “January Thaw.” You know, one of those unseasonably warm winter days that are, dare we say – above freezing? As you sit in the window and bask in the sun, you notice an annoying buzzing sound. Are those flies bouncing off my sunny window pane? And look, more dead flies on the sill! If you are wondering where all the flies are coming from, in the dead of winter no less, the answer is simple. You have a cluster fly infestation. But wait! There is good news; this is not your ordinary house fly. Which in our opinion are pretty gross, being the house fly eats and lays eggs in rotting food and excrement (ick!). The cluster fly is a parasite of the earthworm. That’s right cluster fly larva feed on earthworms – fascinating, right?! Therefore, it is likely your home is situated in or near some nice fertile soil where earthworms thrive. 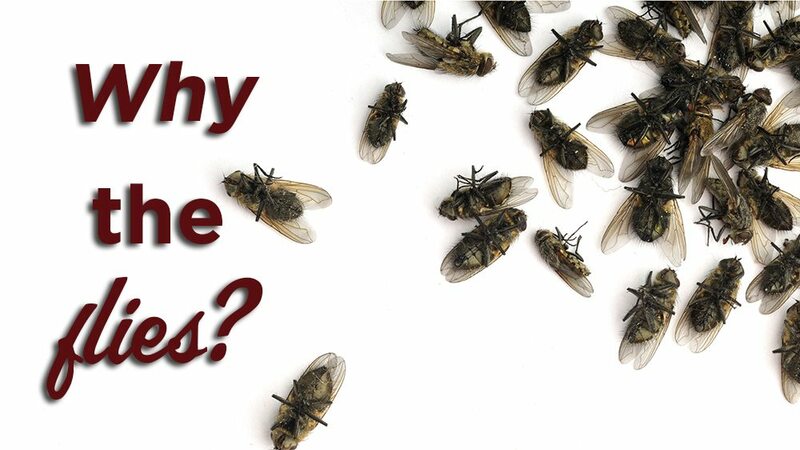 Cluster flies are not known to transmit disease and are mostly considered a nuisance pest. And like many other insects in the winter (think ladybugs), cluster flies look for somewhere warm to ride out the cold winter months. Unbeknownst to you, they sneak into your home through cracks and crevices where they “cluster” together in your attic and wall voids. Next thing you know, on that warm winter day, the hiding cluster flies are tricked into thinking it is spring and are looking for a way back out. Except, that if they do make it out, they likely won’t make it very long outside. In the meantime, they will buzz around your home till they eventually die. Leaving a large number of little cluster fly carcasses behind. Not a pretty picture. There are SO many – what do I do? Now that you know they are pretty harmless (phew), you might be wondering how to get rid of them. However, we might suggest that it would be best to prevent them in the first place. That is because treating them after they have already moved in for the winter might cause additional problems. Like other pests coming in to feed on the cluster fly remains. These new pests can then turn to other household items for a food source. Which means, that for now, sealing up cracks and crevices into your living area, is your best bet at preventing more cluster flies from sneaking into your living spaces. Vacuuming up the live and dead flies is another temporary solution. RELATED: Why we think flies are the grossest! The BEST approach is to hire a pest control professional to perform a thorough inspection and treatment. A professional can help you find all the cracks and crevices around your home so that you can seal them up. And they can apply material at the appropriate time in late summer to the exterior of your home to help eliminate the adult flies as they are drawn to the warmth of the house in search of overwintering sites. This will reduce their numbers significantly, and you will see a dramatic improvement the following winter. But remember, it is all about the timing for this treatment. Too early and the material will break down and become ineffective before doing the job. Too late and the cluster flies will hatch and see your home as a beacon of warmth for the winter. Every season brings a new threat from pests. Be prepared. 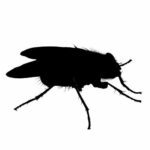 Modern Pest Services offers a HomeCare Green Program for year-round pest protection that covers 60 common pests- including Cluster Flies. Call 1-888-997-3312 or get a free quote today!